Six years after the death of her brother, Edith Finch has returned to the house they, as well as all other Finches, grew up in. Edith, with the recent passing of her mother, is the only remaining Finch left alive and by returning to her childhood home, she hopes to find answers, or perhaps just a sense of closure. What Remains of Edith Finch is a collection of short tales and strange adventures that chronicle the final moments of each member of Edith’s family. It’s a somber, yet, humbling journey through the history of a family that just couldn’t seem to shake its past. 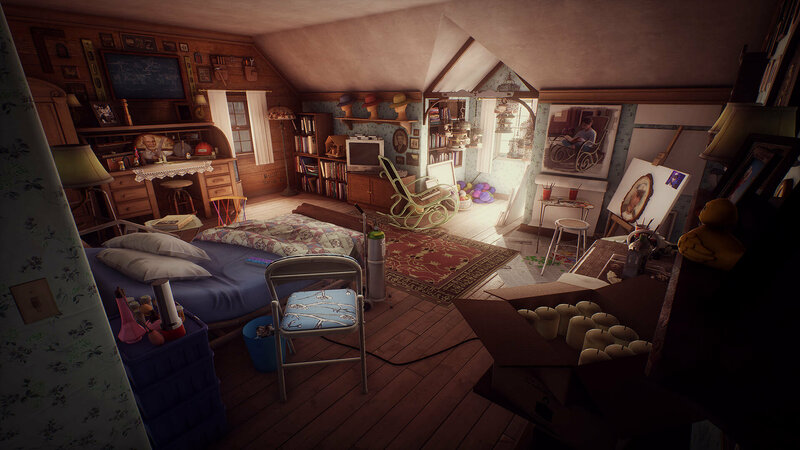 What Remains of Edith Finch starts out following the path set forth by games like Gone Home, Firewatch, and Everybody’s Gone to the Rapture. 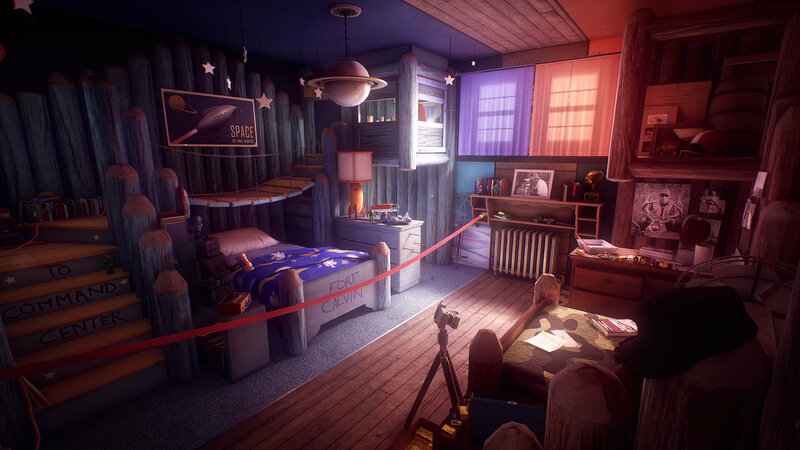 For a good portion of the game you’ll control Edith Finch as she explores her childhood home and waxes nostalgic about every little detail that’s been left untouched. However, what sets this apart, from a myriad of other exploration and narrative heavy games, is in its ability to give you – the player – a unique perspective and involvement in each aspect of the story. (It also just has a really clever use of subtitles that, for me, added a lot to the overall presentation.) As Edith, it’s genuinely interesting to explore every nook and cranny of a house that’s played host to multiple generations of a single family. There’s family photos, hundreds of books lining various shelves, and all sorts of other details that are fun to stare at, but what’s far more interesting is taking the time to see how each member of the Finch family has left their mark. One obvious example is the music box sitting in the hallway that was hand crafted for Barbara Finch. Opening the music box reveals a scene that directly references Barbara’s lead role in a Bigfoot themed movie, specifically the role that made her famous. In addition, there’s other details that leave hints as to what other members of the Finch family were like, many of which become far more interesting on a second playthrough. It’s not just that the Finch residence is meticulously detailed and very much worth paying attention to, these details give context and tell a story about just who the Finch family was through a number of generations. 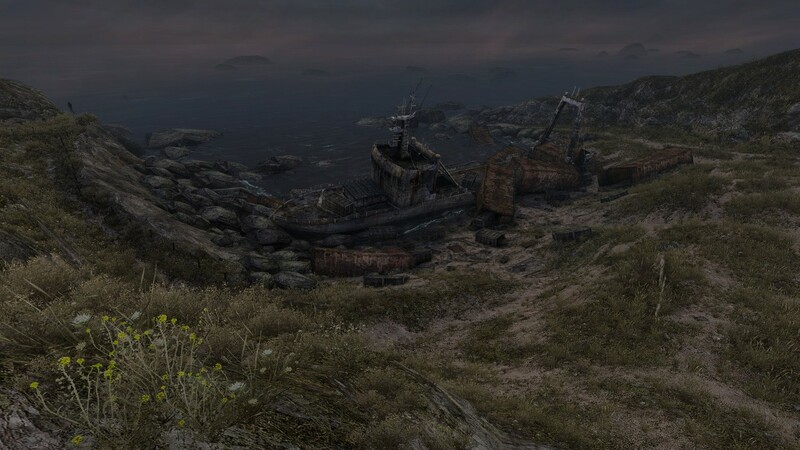 There are specific items that clearly belong to certain members of the Finch family, and seeing as these things have overlapped one another through the years really drives home not just the passage of time, but the unique personalities of each individual who once called this place home. Edith’s reason for returning isn’t just to feel nostalgic about her old home and to point out the possessions of her ancestors. It’s to uncover the truth that her mother seemed so determined to keep from getting out. With the death of each Finch, Edith’s mom would seal off the door’s to the departed’s bedrooms, while her grandmother would then create peep holes. With a special key in her possession, Edith can now access secret passages that will lead through the bedrooms of past Finches, which, will ultimately provide her with the very answers she’s been looking for. Walking into each bedroom in many ways feels like traveling to the past. They remain completely untouched and are essentially time capsules dedicated to the very person who lived in them. They also play host to a journal, poem, or any other form of writing that offers insight into the final day of any given member of the Finch family. The first story follows a young girl named Molly who is sent to her room without supper. Molly later wakes up in the middle of the night with an uncontrollable desire to eat, and she proceeds to do just that. Molly goes on to eat various things around her bedroom before changing forms and hunting down prey as a cat, owl, shark, and tentacle monster. It’s a surreal story told completely from Molly’s perspective and ultimately ends, as the way all of these stories do, with her death. From a purely video game perspective, Molly’s story is the first of many times in which What Remains of Edith Finch offers an entirely unique way of interacting with the game world. The fact that Molly’s story is able to work as well as it does, without the need to explain each new method of control, is really impressive and that’s the case for every single story. On top of that, each story shares an entirely unique perspective and thus looks and controls completely different from anything else in the game. For Molly, it’s a short sequence in which we’re able to peer into the overactive imagination of a young girl, but for others (like Barbara and Lewis) it’s a chance for the game to do things that I truly haven’t seen a video game do before. It’s also interesting to note that every story about any particular member of the Finch family tends to lean into a fantastically weird fictional world that, at first, might feel intended to be more metaphorical than literal. Though, the game seems to leave just enough room for interpretation on that one so, to me, things may not be as cut and dry as they initially seem. These short stories do often feel like fairytales themselves, but what’s so endlessly fascinating is the way in which they seem to parallel and perhaps bleed over into whatever reality the Finches might’ve lived in. And ultimately, I’m not sure the truth behind whether these strange tales are fiction or not even matters. Instead, the message of What Remains of Edith Finch is far brighter than the overwhelming presence of death might lead you to believe. Its overall message is an uplifting one and, to be frank, almost feels like a weird companion piece to Night in the Woods. What Remains of Edith Finch is a personal story, one that really hit home for me in just about every way imaginable. It’s a game that finds beauty in death and demonstrates the importance of appreciating what little time we are given to experience what life has to offer. The story of the Finch family is strange and at times might not seem possible, but dig deep enough, and you’ll find a wonderful game with a profound perspective on life, family, and what we leave behind. Every short story is presented and controlled in completely different ways. The Barbara and Lewis stories are highlights for me. Learning about members of the Finch family just by observing details within the house. Clever presentation of subtitles throughout the game. The way in which tragedy is used to find beauty in life. Couple brief moments where the frame rate stutters. Hardly impacted my time with the game though.